The legendary T5 pills were born out of the bodybuilding community over 20 years ago. It has been responsible for helping to sculpt the muscular frames and ensure competition ready physiques of competitive bodybuilders; no other fat burner has come close to achieving such a cult following. 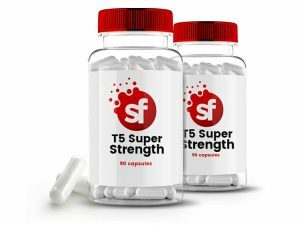 Originally the T5 was a stack of ephedrine, caffeine and aspirin and was nothing short of a powerhouse in terms of thermogenic properties – consumers would sweat buckets – and the appetite suppression would mean that the casual user would not eat for days, skipping meals with ease. Of course, times change, and safety is a bigger part of food and medicine than ever before. Short term gains have given way to a more strategic longer-term holistic lifestyle approach which sees people staying just outside of the cutting zone for longer periods of time. In the modern world of social media, staying in shape has applied tons of pressure for the “Instagram-ready” generation of millennial’s who must maintain a six pack all year round, just to remain cool with their followers or at least “on fleek”. Times changed and so did the blends that went into the mainstream T5, but the goal of the pill always remained to produce a thermogenic effect allowing the user to lose weight through elevation of core temperatures. 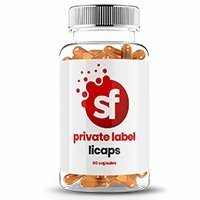 The fat burner market has evolved tremendously over the last 10 years, with many brands developing their own unique code names for fat burners. Given that there are no actual fat burners on the market with an EFSA claim, in premium cases, retail and online brands have turned to branded ingredients to supercharge their blends. Companies such as Maximuscle, PHD and Myprotein, and Grenade sell thousands of fat burners, despite the lack of evidence supporting actual weight loss. This demand is allegedly driven by a placebo effect, but can the sweat dripping from a consumers skin purely be a coincidence? The repeat customers are voting with their wallets. The demand for T5 pills and their fat burner cousins is undeniable and any brand that has a stake in the nutrition game is likely to have a desire to own a slice of this market. the question is, is the current product offering as good as it can be? The FORZA brand was the first legitimate T5 to enter the market in 2007. The Super Strength debuted in Boots and CostCo stores in the UK in 2014. At Supplement Factory we have a huge amount of detailed experience when it comes to thermogenic blends and fat burning formulas. Working over the years with clients we have been able to develop some of the most potent and well-sold burners in the industry. We can formulate blends to come as a full or half stack, plus these formulas can be varied to work with a pre-workout and post work-out package. 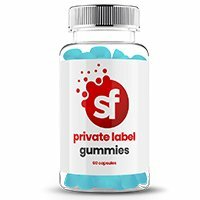 Whether you are looking to create a new product or add to your existing range , Supplement Factory strive to make your private label experience as efficient and relaxing as possible. From queries regarding ingredients, formulation, packaging and design, our experienced team will help you every step of the way. With a wide range of exciting products available, contact us today to see why we are the UK’s leading food supplement contract manufacturers.